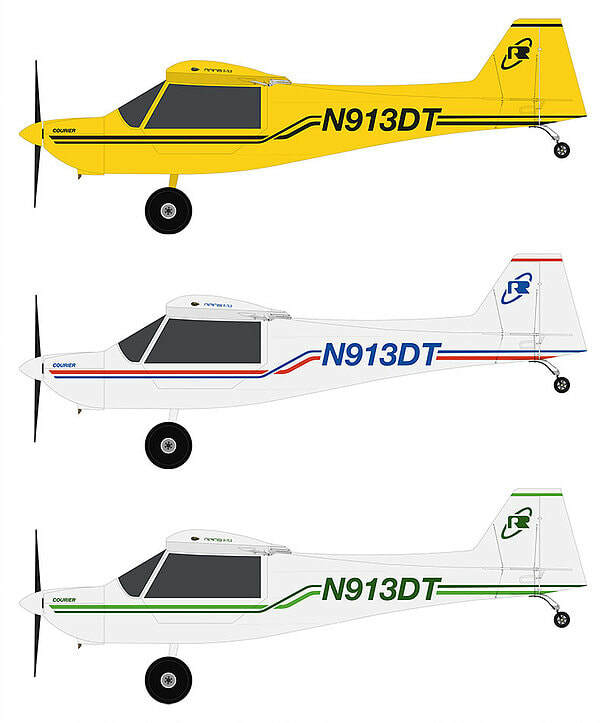 July 1985 is when the original S-7 Courier was laid out, and since has become a popular choice among those who love a tandem tailwheel plane. Designed from the ground up to be a very capable plane for a variety of users, the Courier boasts great payload, low speed handing, rugged airframe, roomy cockpit, exciting climb performance and cruise speed. These aspects are possible because every element of the design was engineered with less weight, drag, and assembly hours in mind. ​You will be impressed with the level of quality and detail put into a Courier kit or ready to fly plane. Extensive use of CNC machines to make most components combines with expertly hand crafted welded assemblies. 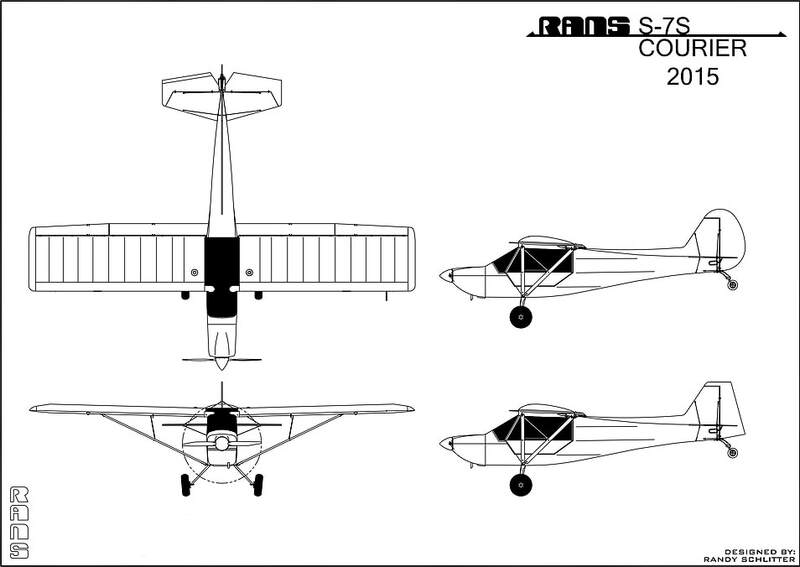 Tandem tailwheel planes have been in the mix of light planes since the explosive popularity of the Piper Cub post WW2. 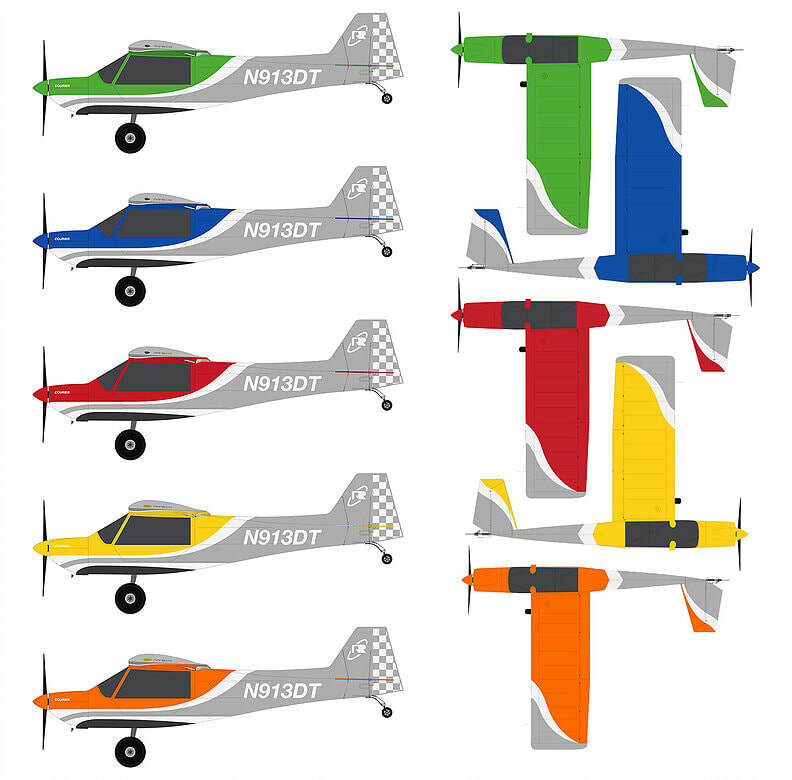 The Courier is a fresh look at how to build a tandem tail-dragger in today's world with today's advanced materials and techniques. 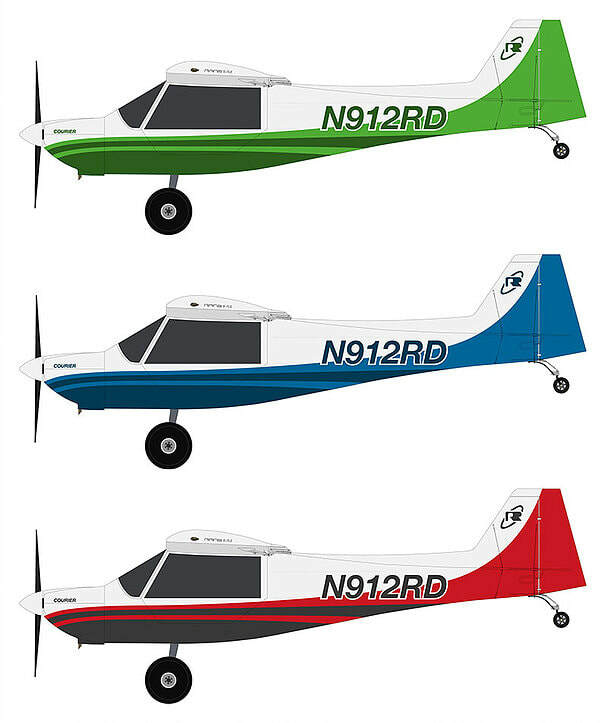 ​Re-imagined features like easy entry, better visibility, 110 MPH cruise, below 40 MPH stalls, front seat solo, touch low drag landing gear, 60" wide double doors, all contribute to the amazing plane called the S-7S Courier.